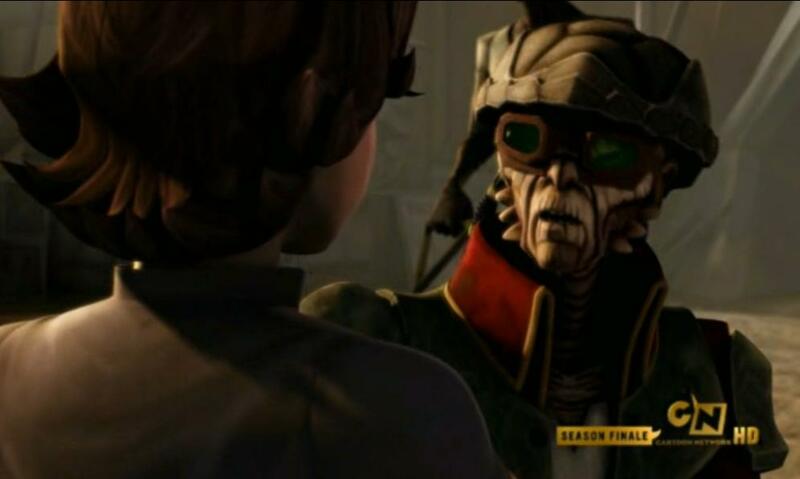 With hostages still on-board and a need to unload a crew member from the first part of the episode “Lethal Trackdown” in “Star Wars: The Clone Wars”, Boba Fett, Aurra Sing and their crew decide to make a stop at Florrum. Upon their arrival, they are greeted by Hondo Ohnaka, the head pirate, who seems puzzled as to why Aurra Sing has a boy with him, to which she replies, “He’s Jango’s son.” When Ohnaka hears this, he gets serious and earnestly directly tells Boba Fett, “Sorry about your father; he was a friend and an honorable man.” Although we learn very little about Boba, it is telling about both Ohnaka and Jango Fett. When they head inside toward the bar, they are served drinks (perhaps of the adult kind); while Sing takes hers, Boba also tries to reach for the drink served for him. At this moment, Sing stops his hand midreach and simply says, “No, Boba.” Upset, Fett shakes her off, although it’s unclear why he’s upset. Perhaps it could be that he’s upset that he’s being excluded in some way, perhaps he’s still upset about not having killed the hostages when he should have or that Mace Windu isn’t yet dead. Either way, being excluded from consuming an adult beverage serves to underscore how young he is. 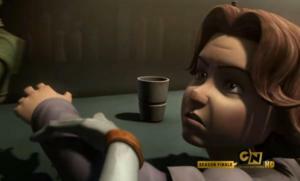 While they are still at the bar, with Aurra Sing chatting with Hondo Ohnaka and Boba Fett by her, Sing hears some of Castas’ conversation and she decides to summarily shoot him, killing him. 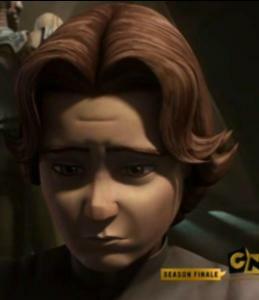 While the music soon returns as does everybody else to their own activities, Boba seems utterly stunned. There are several possibilities as to why Fett is so stunned: 1) he can’t believe someone – especially someone he knew and with whom he had been working – is now dead so soon, 2) he can’t believe that Aurra Sing would just shoot him without any conversation, and/or 3) it seems o shocking to him that killing could be so easy, throwing into focus how much trouble he had with killing the hostages earlier in the episode.